Tomorrow’s the official pub date for this new book. Isn’t the cover beautiful? I love how it sparkles. You can often guess someone’s age by considering their name. Diane, for example, was popular in the 1950s, so . . . that tells you something about me. But God’s personal name? Well, it’s ageless. Just like him. The Israelites had just about forgotten who the God of their fathers Abraham, Isaac, and Jacob was. But God hadn’t forgotten them. Not at all. I AM WHO I AM. I always have been. I will always be. I will never change. When God revealed his name to Moses, he used the Hebrew YHWH (the Hebrew language has no vowels). Some English Bible translations use Yahweh wherever God’s name occurs, but most follow the tradition of replacing Yahweh with “the LORD” (using large and small caps). Eventually the term Jehovah appeared. It’s found throughout the 1611 King James Version of the Bible, and today many of the descriptions added to God’s name in the Bible are popularly known using Jehovah (for example, Jehovah Jireh, “The LORD Will Provide” and Jehovah Rophe, “The LORD Who Heals”)—even though Yahweh is a much more likely accurate pronunciation. But however I AM is written or pronounced, it IS the name God gave us to tell us about himself. And it is the name Jesus used for himself when he said, “Before Abraham was, I am” (John 8:58)! Choosing a book title is rarely easy. Choosing a title for this book about the names of God the Father, God the Son, and God the Holy Spirit took a long time. 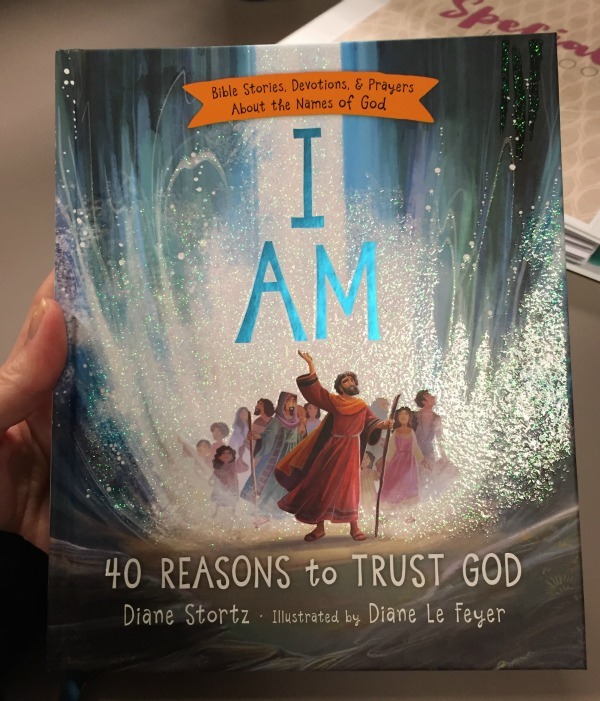 I couldn’t be more grateful to the Tommy Nelson Publishing team that developed and settled on the title I AM: 40 Reasons to Trust God. As our children and families go through the book together, may we all grow mightily in our understanding of who God is and our relationship with him!